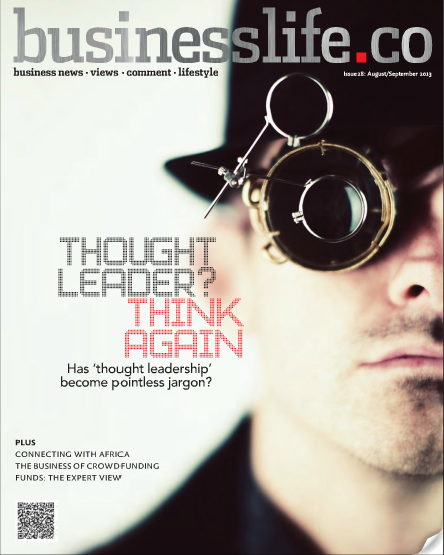 Published in Businesslife, August 2013. Original article here (p48-50). Money cannot buy you love, The Beatles once sang, but it turns out money also cannot buy you the loyalty of the millennials generation. Higher salaries may have been a key driving force for their parents, but for employees in their 20s, a better work-life balance weighs heavier on the scales. Raised on the internet, the millennials generation – born between 1980 and 1995 – have seen work turn from a place to be, to something to do. And watching their parents climb the career ladder by working all hours of the day, and possibly even night, has failed to persuade millennials it is the road to happiness. This is the conclusion of an extensive study from PwC, which found that employers who want to continue to attract star talent will need to deliver what the millennials want: remote working, overseas consignments, being valued in the office, and opportunities for training. PwC’s global study, polling 44,000 people over two years in conjunction with the London Business School and the University of Southern California, found that millennials are not convinced that work is worth the sacrifice of their personals lives. While the desire for flexible hours is not unique to the younger generation, Brady says she was surprised to what extent the millennials will actually give up money in exchange for freedom. According to the research, nearly 20% would forego some of their pay and slow the pace of promotion if they could work fewer hours. After all, it will be difficult to persuade those who have grown up with web-connected mobiles in their pockets that it is vital to be present in the office for eight hours a day. They know they can just as easily power up a laptop on the train, log into the company network from home at night, or email in a report while spending time abroad. The millennials want to take advantage of these possibilities: nearly 70% of millennials said they would like to shift their work hours, plus occasionally work from home. This represents a significant cultural challenge for businesses, as a positive team spirit and a sense of social responsibility are all important factors for the millennials. They also want transparency around performance and compensation, and will much more easily share salary details with teammates. 37% of millennials are interested in working abroad, as opposed to just 28% of the previous generation, and they generally want to have a say in how they work rather than being told what to do. 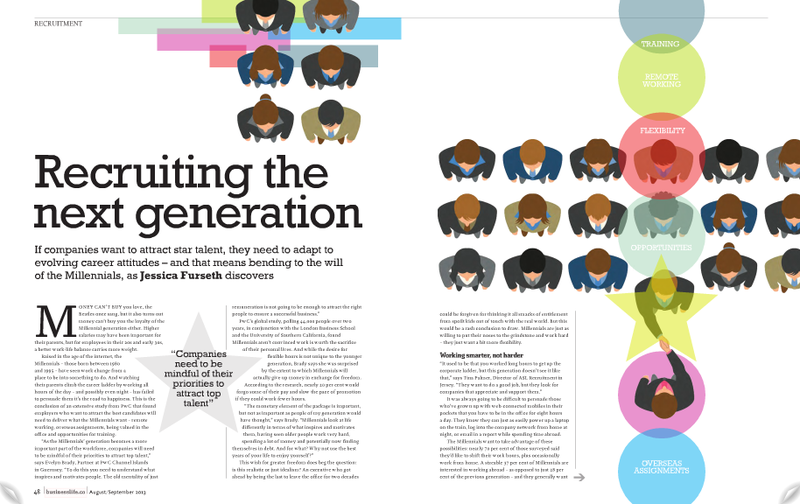 Companies need to take these factors into account when putting together job offers for the younger generation. “People are not just looking at the money, but also at the culture of the organisation, the leadership, and what kind of working life they get. They ask, how much holiday do I get? Do I get medical? Do I get time to study? People are realising they spend a lot of time at work, and they need to be happy there,” says Palmer. Work-life balance is often short for getting out in time to pick up kids from school, but this is not necessarily the case for the millennials, who are still aged under 33. As 92% of those surveyed did not have children, work-life balance for them also means time for hobbies, travel, personal development, or simply wishing to meet a friend for a drink while the sun is still up. Posted on 08/13/2013 by Jess. This entry was posted in Business features and tagged millennials, work. Bookmark the permalink.